The community healthcare placement program runs for just over two weeks during October/November. Places are limited, so to be part of this experience you will have to undergo an application process. To be eligible for this opportunity you need to be doing elective units NUR2005 or NUR3005. You will be asked to assist in raising funds that can be used to purchase supplies for the often hugely oversubscribed community clinics that are set up as part of the programme. In the past, students have also provided funding to additional initiatives, contributing to the region in other ways. Cambodia is a beautiful but complex country and offers students many opportunities. The organisations that you will work alongside provide free health education and basic medical services to local communities on the outskirts of the nation’s capital, providing you with a unique and challenging educational environment working alongside local health practitioners in health clinics located in slum areas of Phnom Penh. 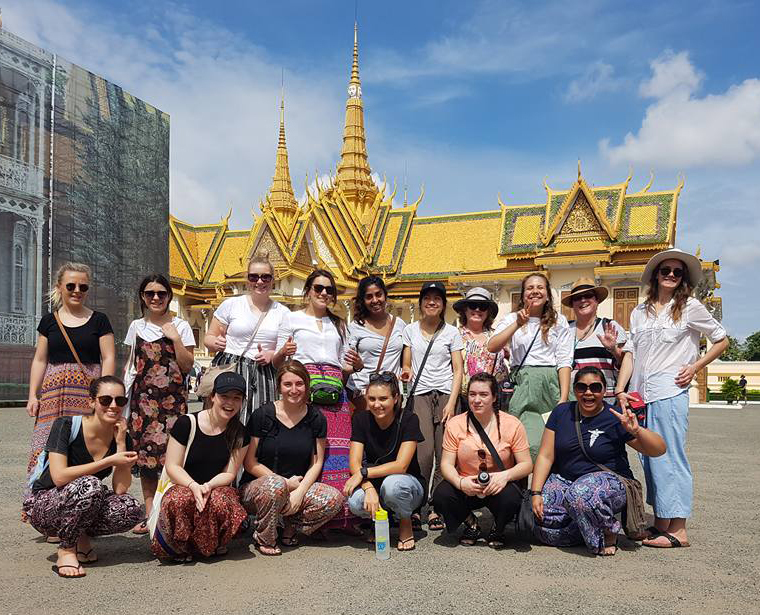 There is also the opportunity to shadow doctors and nurses at a government hospital in the city, allowing you to gain an insight into the Cambodian healthcare system.